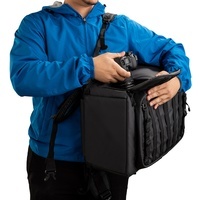 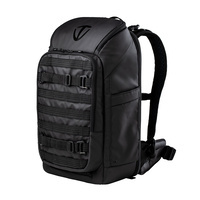 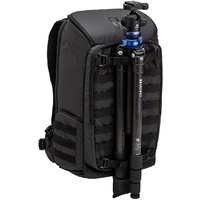 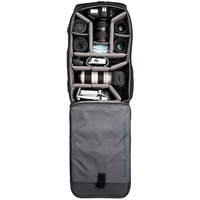 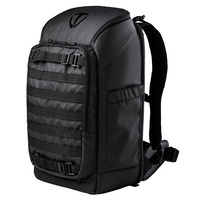 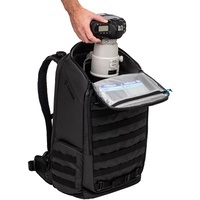 The largest capacity Axis backpack, which can house for 1-2 Mirrorless or DSLR cameras with 7-9 lenses, up to 400mm f2.8. Also an excellent choice for DJI Mavic and other compact drone systems. 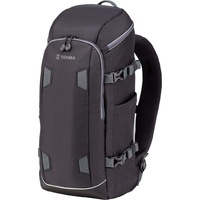 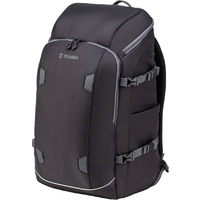 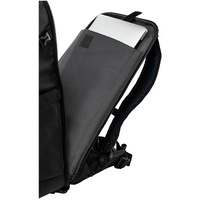 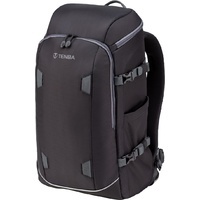 Military inspired, Tenba's Axis range continues the 40 year tradition of ultra durable bags. 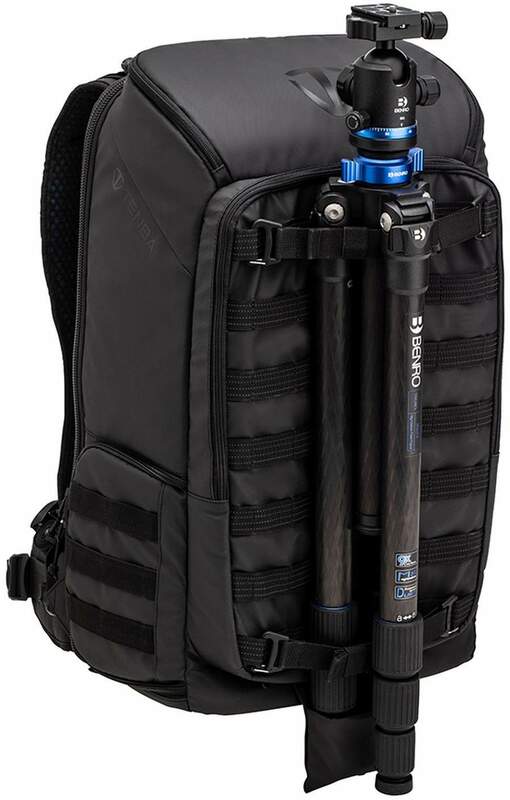 The Axis 32L boasts exceptional storage capacity while remaining reasonably light. 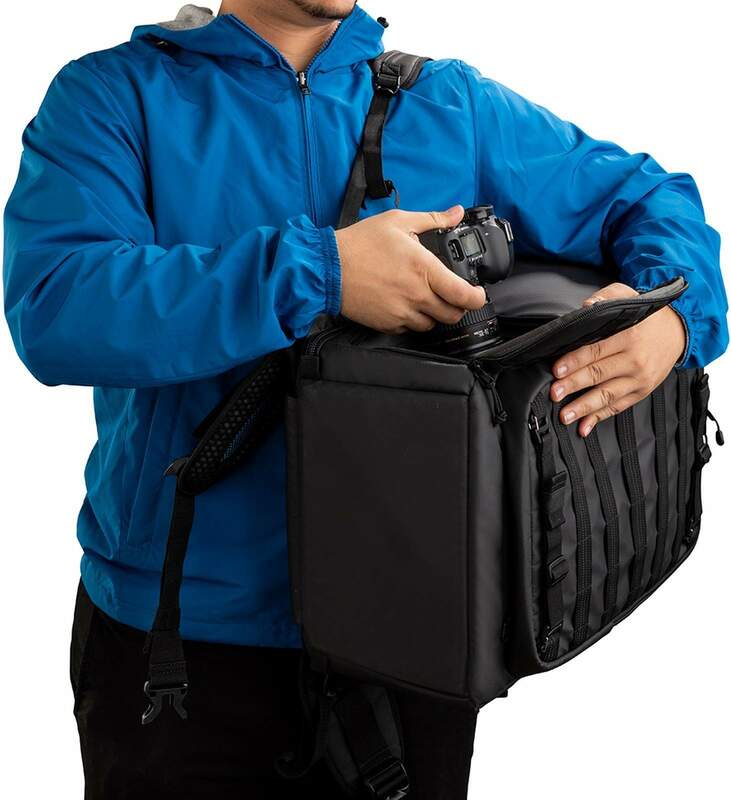 Not only is it great for photography, it is also handy for drone enthusiasts. 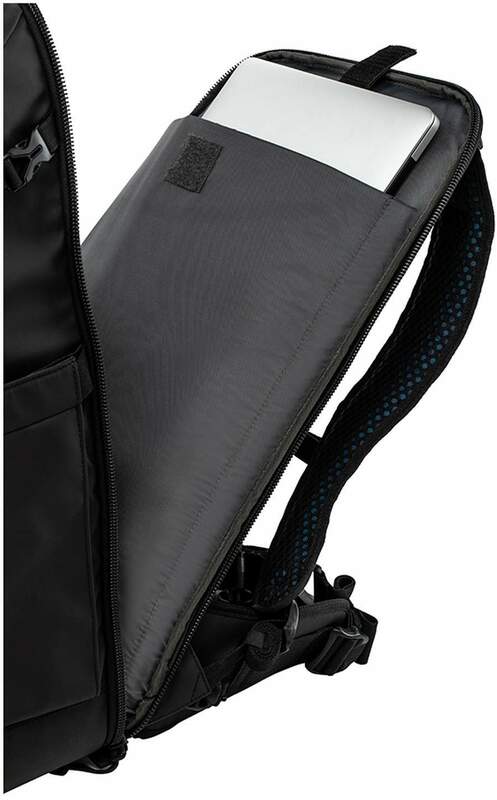 It fits the DJI Mavic and other compact drones. 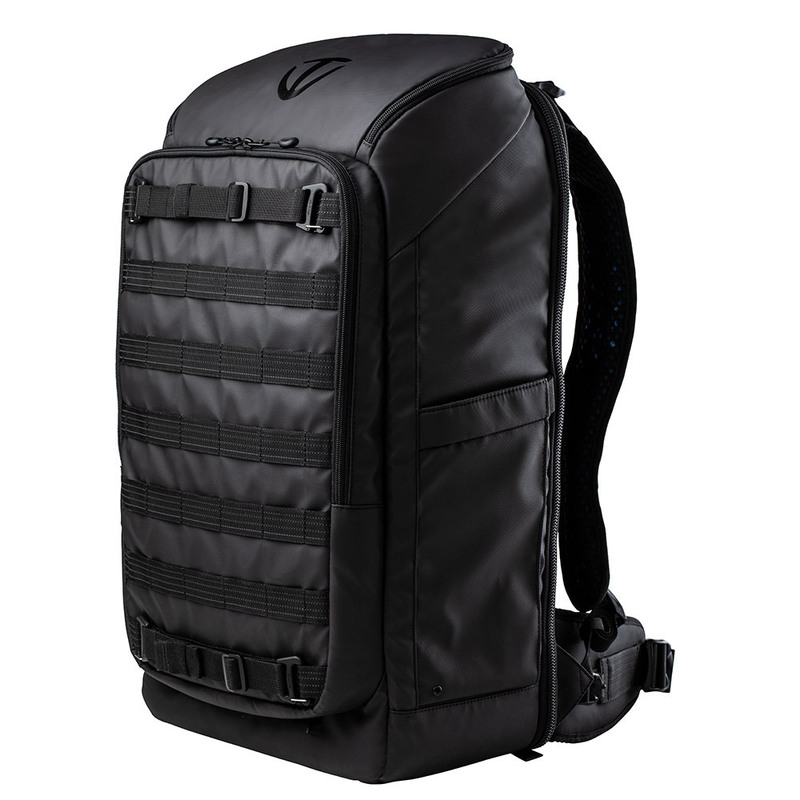 Constructed using exotic materials & hardware such as a specially-coated hydrophobic exterior, YKK® zippers and clips, and heavily reinforced reflective stitching, built to withstand years of extreme abuse & harsh weather conditions. 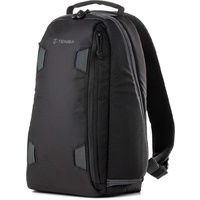 It still has classic practicality, with MOLLE webbing allows limitless expandability with Tenba Tools, such as Lens Capsules, Battery Pouches and Memory Card Wallets. 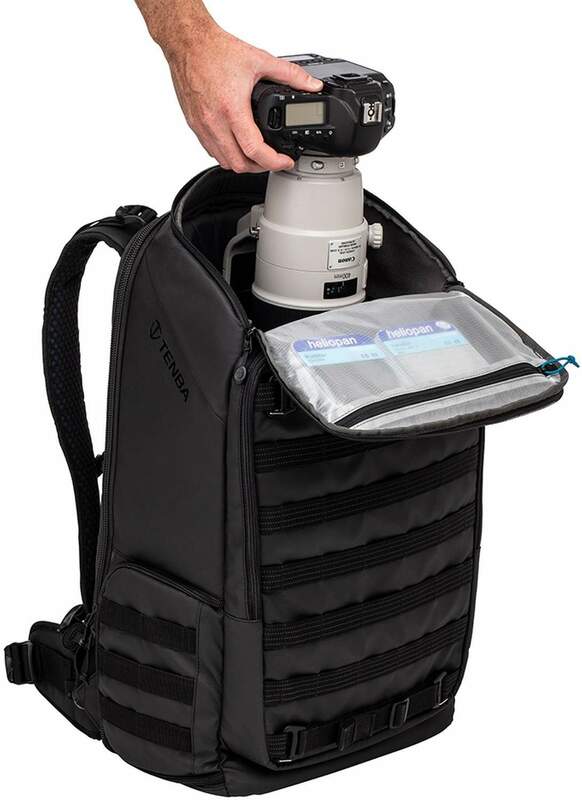 There's several pouches & accessories scattered inside and outside, as well as a height adjustable airflow harness to suit all sizes, and a 3-point camera access system ensures that the bag will suit any shooting style.